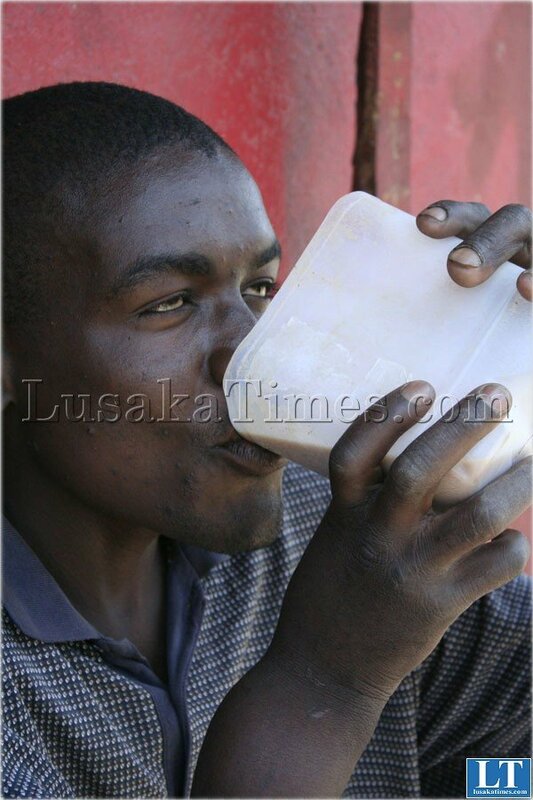 Two men of Livingstone’s Libuyu Compound almost caused a circus in the Livingstone Magistrate Court yesterday when they where sentenced to 18 month imprisonment with hard labour for stealing 50 litres of opaque beer among other items.The men were sentenced to 18 months imprisonment each in both counts of the crimes committed and the sentences to run concurrently. of burglary and theft contrary to Section 301(a)and Section 272 of the penal code. belonging to Silva Masese and on a later date within the same month committed a similar offence to Sharon Shilumbwa where they stole goods worth K670,000. of Chibuku beer which the lady had temporarily stored in the house. The wallet without any money in it,together with three empty containers that had had beer in them,was recovered during Police patrol in Libuyu. In the second count,the duo broke in the house of Sharon Shilumbwa within the same area in Linda compound and stole a 1 plate cooker,1 Voters Card and 1 NRC belonging to the complainant. Before passing Judgement,Magistrate Kasongo asked the men what they have done to the beer that was in the container. The men responded in unison that they drunk it. In mitigation,Tembo asked the court to exercise leniency as he did not know what he was doing while Muleya said it was an act of the devil. Magistrate Kasongo sentenced the men to 18 months imprisonment each in both counts and the sentences to run concurrently. Ha ha Amaguys zo-ona just to still chibuku ? Awe kwena. Ha ha Amaguys zo-ona just to steal chibuku ? Awe kwena. then ka Chiluba who stole millions of Dollars is free and laughing and shopping at Woodlands spar ! 3 years for 50ltres of chibuku! Isn’t it more costly for the state and eventually the taxpayers to keep these guys for 3 years for just stealing “maize juice”? Surely there must be other punitive measures the court can take against them. Silva MASESE…hmmm. She’s really living up to her name with dealing in chibuke. In Zambia,if u steal things of low value,u will be punished severly but if u still valuable things,u will be set free….yalikaba pa zed. You are 100% right. I can not see the circus caused as well! i was waiting to get to the circus part , nothing. where’s the circus. i think these men have been stealing in a number of houses, they just got caught this time..
Yaba Livingstone ….keeping chibuku in the house 4 commecial use? But you Guys you see 50L cost you 3yrs behind bars. where was this code when bashi K stolen millions,,??? ?